Who is Your 5 Star Ninja? HI-YAAAH! 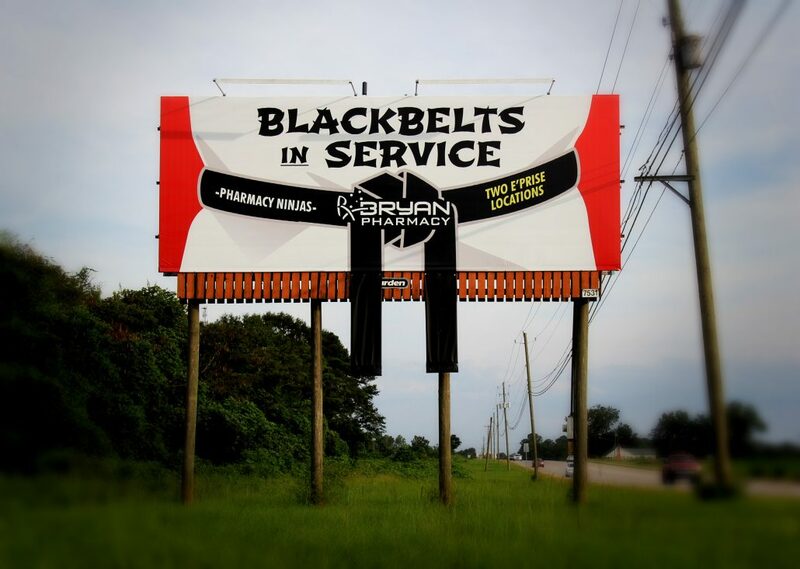 Durden Outdoor Displays, Inc. and Bryan Pharmacy have teamed up again to roundhouse kick bland billboards to the curb. 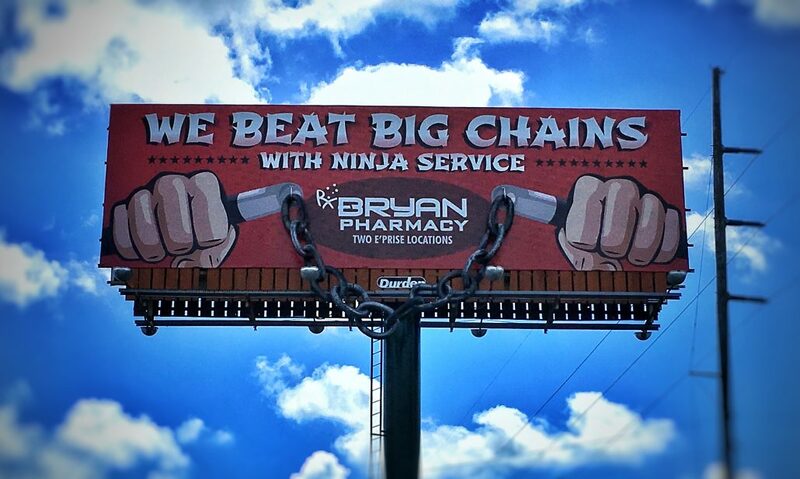 We are constantly looking to push the outdoor advertising envelope and Bryan Pharmacy is always more than willing to join in. 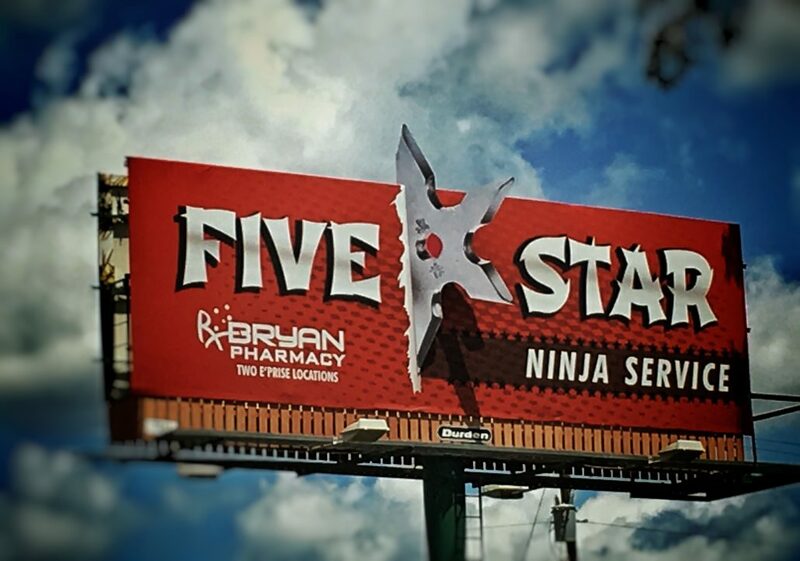 For their new campaign, we agreed on an action-packed series of digital creative, rotary posters and 3-D bulletins that convey the ninja-like skills of the Bryan Pharmacy team. These guys karate-chop wait times, beat big-chain prices and offer 5 star ninja customer service. Durden Outdoor’s creative team had a blast building an entire campaign revolving around the concept of stealthy little pharmacy ninjas. 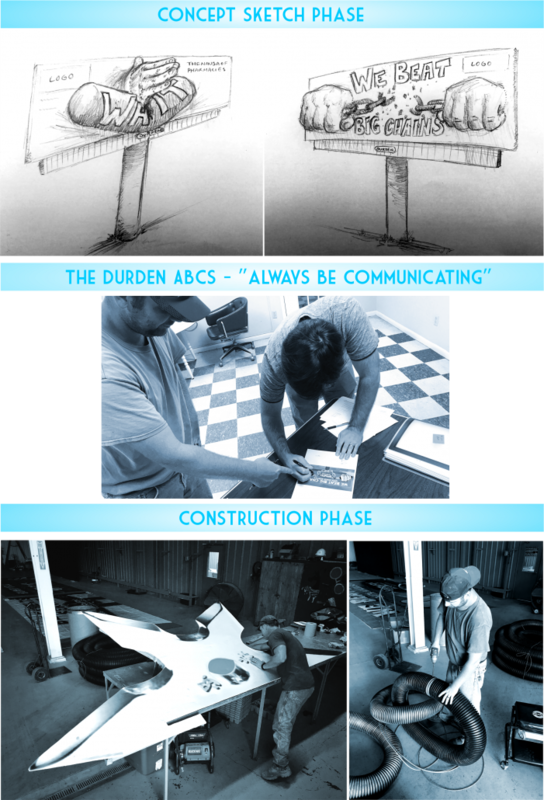 However, these ideas and sketches would never be able to get off of the ground (literally) without the Durden production team. These guys are 3-D geniuses and never back down from a challenge. Even a 12 foot ninja-star sized challenge! From concept, to rough drafts, to 3-D building logistics, this campaign is further proof that all departments at Durden Outdoor are utilized to breathe life into the outdoor landscape and provide eye-catching marketing solutions for our clients. If you would like to be FAMOUS in the Wiregrass area, contact one of our #FAMOUSMakers today at 334-792-5056 or sales@durdenoutdoor.com. http://www.durdenoutdoor.com/wp-content/uploads/2016/06/DUR-Footer-Logo.png 0 0 Amy Riddle http://www.durdenoutdoor.com/wp-content/uploads/2016/06/DUR-Footer-Logo.png Amy Riddle2017-08-30 15:01:102017-08-30 18:05:26Who is Your 5 Star Ninja? 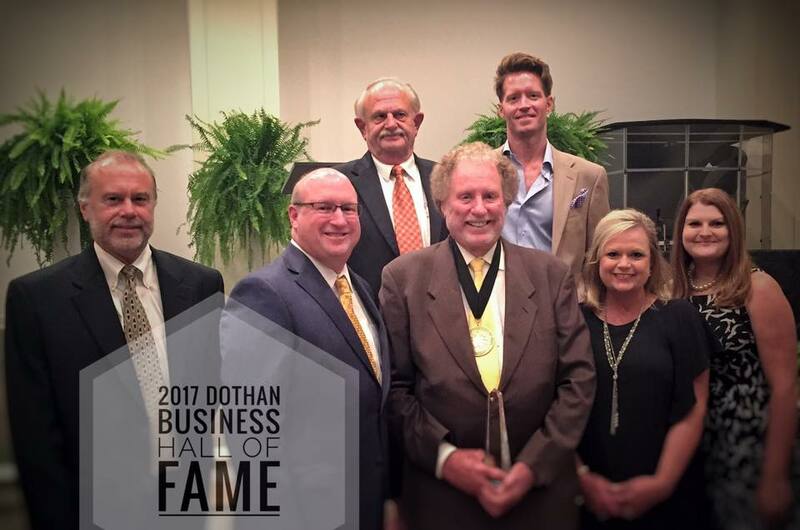 The FAMOUS Makers are proud to surround our rock and CEO, Earl Durden, as he was inducted into the elite Dothan Business Hall of Fame on Thursday, August 24, 2017. We would like to extend a humble “Thank You” to our clients, friends, and team members who have been apart of Durden Outdoor Displays, Inc. since it was founded in 1968. Thank you Dothan Area Chamber of Commerce for recognizing our hero and his dedicated hard work. Click HERE to read the full Dothan Eagle article surrounding this wonderful achievement.